Penn Jersey is proud to offer our clients a mirror-like shine on their windows regardless of altitude or location. We're looking for experienced workers who can help us deliver excellence. We are looking for experienced, professional high rise capable window cleaners for commercial contracts. We offer first class rates of pay commensurate with experience. We are also looking for interior and exterior window cleaners for commercial contracts. Please send resume to Cliff Katzin by emailing info@Penn-jersey.com. Please provide references. Due to the nature of our work, background checks will be conducted. NO Phone Calls Please. Penn Jersey has a wide range of large, ranging from regular corporate jobs to educational institutions with impeccable reputations for quality. Safety, professionalism, and exceptional results are the cornerstone of our business, so you can look forward to working in a safe, friendly, and respectful environment where your welfare, and success in the role is our main priority. You’ll always have the support you need to integrate into our team. Many of our window cleaning staff have been with us for most of their professional careers, and are always happy to welcome new members to our family. 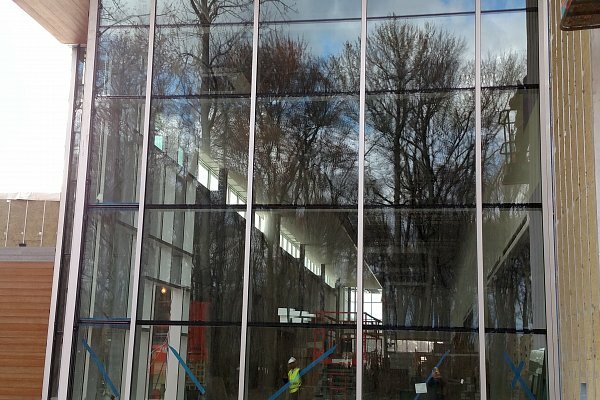 We have a lot of regular clients, so you’ll quickly familiarize yourself with the requirements of the window cleaning jobs you’re assigned to, and get used to delivering that mirror-like shine we’re famous for. All applications can be sent in by e-mail given in the individual window cleaning job listing above. We don’t accept calls, but we do quickly process applications, and we’ll get you in for an interview in short order, if you’re a good fit for us and our clients. Naturally, as a business that services many large, corporate clients, we’ll make sure you’re provided with training, and that you’re up to speed on all the latest safety equipment, tools and procedures before you’re assigned work. You’ll be confident, and happy that you’ve got the best possible tools for the job, and how your colleagues are working, before you get started.